Steven Hoskinson, MA, MAT, is the Founder, CEO and Chief Compassion Officer (CCO) of Organic Intelligence® and the 501(c)(3) nonprofit Organic Intelligence Outreach Institute. Steve created the Human Empowerment And Resiliency Training (HEARTraining®) based on Organic Intelligence, which is a new and unique theory and clinical practice of human empowerment, resiliency, and compassion to resolve the devastating effects of stress, trauma, and PTSD. It is a precious opportunity to work with Steve, in either private sessions or case consultations. 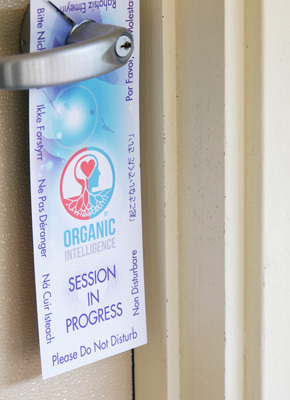 Experience the art and wisdom of Organic Intelligence® directly from its Founder. Go to Steve’s online calendar to view available dates and times. All sessions can be booked online. Engage your audience with the latest developments in human empowerment, resiliency and compassion. See how the science of complex systems inspires the healing of humanity. How do you turn your business into a compassionate and mindful enterprise? Learn how a mindful company culture can be more profitable and successful. 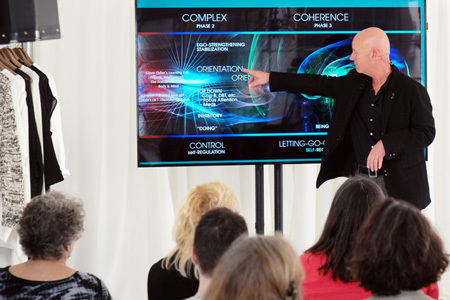 As a leader in the Somatic Psychology field, Steve provides leadership consulting and customized workshops based on Organic Intelligence®.